How Lena Koke's and Mark Morris's retail law firm model might change everything. Peter Aprile and Natalie Worsfold interview Lena Koke, co-founder of Axess Law, Canada. The group discusses the innovative approach that Axess uses to deliver legal services. The law firm works in retail spaces across Ontario, with 12 locations in the greater Toronto area, ten of which are in Walmart stores. In 2016, Axess served 40,000 clients across the province and saw a significant increase in revenue. In this interview, Lena tells BNL how she and her partner, Mark Morris, came up with the idea. Lena Koke is the co-founder of Axess Law. Axess provides convenient law services to average people, and their services are offered in several Walmart locations. Lena also has a business background and has worked in the retail industry. 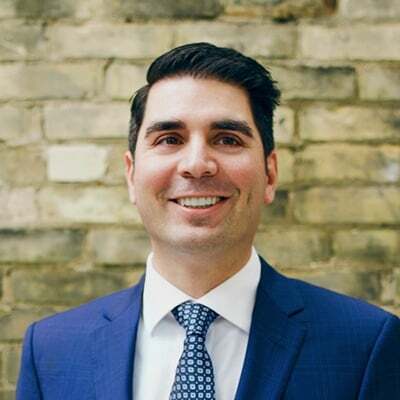 Peter Aprile: Hi, and welcome to "Building NewLaw," Canada's first and only CPD accredited podcast. It's hosted by me, Peter Aprile, and my colleague, Natalie Worsfold. 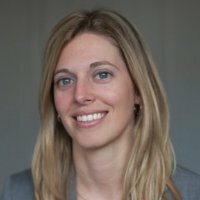 Natalie Worsfold: In each episode, we interview lawyers, legal technologists, and other like‑minded people at the forefront of NewLaw. Peter: We hope that the podcast connects the NewLaw community and helps us all learn more about the approaches that are changing the way that we practice law. Natalie: To learn how you can use this podcast to satisfy you law society's CPD requirements, visit our website at countertax.ca/bnlcpd. That's countertax.ca/bnlcpd. Sponsor: The Building NewLaw podcast is supported by Counter Tax Lawyers, a new type of tax controversy and litigation law firm. To learn more about Counter, go to countertax.ca. Natalie: Today we are speaking with Lena Koke, who is the co‑founder of Axess Law. Peter: In 2009, Lena and her classmate, Mark Morris, came up with the idea of opening retail law firms. In 2013, they launched Axess Law. And today, Axess has 12 locations across the GTA. 10 of those locations are in Walmart stores. They have great branding, great positioning, and have structured their business to provide cost‑effective and accessible legal services. Natalie: To give you an idea of their success, last year, Axess Law serviced over 40,000 people in Ontario. And over the past two years, Axess' revenue has increased by 634 percent. Peter: We think Axess is a great example of NewLaw in‑practice. 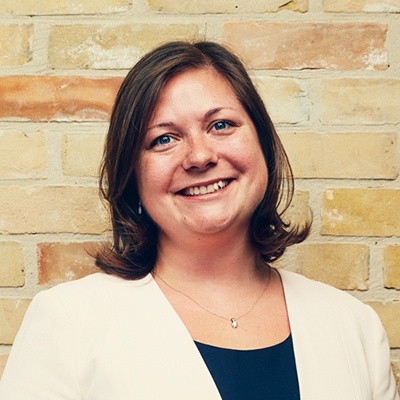 And we're so excited to speak with Lena today about the inspiration behind Axess, her relationship with her partner, Mark, how they built the firm, and how Axess is set to change the legal landscape. Natalie: So let's get straight to it. Here's our interview with Lena. Lena, thanks so much for coming in. Can you tell us a little bit about yourself and Axess? Lena Koke: So about four years ago or so, my business partner and I, Mark Morris, we started a firm called Axess Law. We both came from the law and business background. And, uh, specifically, we spent a lot of time in the retail industry. And we decided to start a company that combine the best practices of retail and law together. Peter: And how did you meet Mark in the first instance? Lena: We actually went to business school together. Peter: And so, you were talking about this idea while you were at business school? Lena: ...uh, up in Muskoka, sitting around a campfire. And, uh, I just come back from a summer in Beirut. And he had good travel stories. Lena: So he told me all about all of his Middle Eastern travels, and a friendship was born. The idea of Axess actually came up years after we had finished school. We maintained a friendship, and we were just chatting one evening. And, "You know what? We really need to find a way to try to offer legal services more affordably. And in, then sort of a different context than they're typically provided." So we battered around a few ideas. And, uh, that's when we came up with it. Peter: And why did you wanna offer legal services more affordably? Lena: Oh, that's a good question. Uh, so I'd love to say it's pure altruism. I'm sure that's a part of it. So Mark was practicing at the time. And I was doing, you know, various business‑related things. And I'd had several experiences where I needed a lawyer for something. You know, whether it be a joint venture agreement or a limited partnership agreement. And I found the process to not only be a bit daunting, but just extremely inefficient and high‑priced. On top of this, we had a lot of friends who were starting to have kids and buying homes. And we were constantly hearing from them. You know, "Lawyers are so expensive. Lawyers are so expensive." When we looked around, because we both had a bit of a background in retail, we said, "Look, there are all these other professionals that are offering their services in retail settings." So you see pharmacists setting up in Loblaws, in Walmart. You see medical offices all over the place. Optometrists, dentists, you name it. The only professionals that weren't out there, trying to provide their services in more of a, uh, user‑friendly way were lawyers. We thought, "You know what? If everybody else can do it, why can't we try to turn the model on its head a little bit and just make things easier?" You know, open longer hours, open on weekends, and making things more efficiently. Working with our workflows again, and again, and again. And hammering them down to make them better, faster, less expensive. Peter: And so that's what Axess Law is. It's the retail answer for law? Lena: I would like to say so, yes. Yes. We're trying to do a few other things as well. Really leveraging technology, but I would say what people know us as is the retail answer to law. That's right. Peter: So what's the complete picture of what Axess is? Lena: OK. So from the perspective of, let's say a potential customer. If you have a legal need...so let's just say this is an everyday legal need. So this is my friend, my mother, my neighbors, stuff that we need. A will, a real estate transaction. I need to get a document notarized. I just started a small business. Maybe I need to incorporate. I need a separation agreement, a cohabitation agreement. We would offer that service. So what the firm tries to do is open up in locations that are convenient to people, that are non‑intimidating. So part of the model is let's make this as convenient as possible, both in terms of location and affordability, and let's just make this a nice process where you walk in the door and that you feel like you can actually speak to a lawyer and get your things done. We're not everything to everyone, but we're something good for a lot of people. Natalie: So it's sort of coming down off a pedestal. It's putting a lawyer in a room with the person that they're there to serve, and having much more of a client centric practice. Lena: Absolutely. So just acknowledging the fact that intimidation has been a barrier to a big part of the population seeking legal representation in the past, is something that we're trying to address. And I think just opening up doors in a place like Walmart...I mean think what you might about that idea, but it brings the option to seek out and retain a lawyer to people much more than a lot of different things do. Peter: So where are the locations? Lena: So right now we have a number of them in Walmarts. We also have a couple of offices outside of Walmarts. We have a storefront location on Danforth. We have an office downtown. We're looking at all types of different retail models. The goal is to put us in front of where our potential clients are. If that's a storefront, great. If that's in an airport, great. We try to look at it from the perspective of, what is the need? What is the question? What's the problem here, and then find the solution. So if the solution is Walmart, great. It's worked well for a lot of people, but that's not gonna be the answer for other people. So certainly we're wide open. In terms of other areas they've been a great partner. So far I'm sure they'll continue to be, but there are a lot of different venues that make sense. Natalie: I like the idea of the airport. [laughs] Everybody's stuck in the airport waiting for a plane. Great timing. Peter: For me, if I could get my will done well while waiting for a plane. Peter: And I'm probably thinking about it at that point as well, so. Lena: Yeah. Exactly. Well, you know, there are airports that have notary booths in them. And I haven't been there yet, but I have seen them. And I think a lot of times what people will do when they have to conduct business, let's say, you know, one person is flying from Detroit, another person is flying from New York. They meet at the airport, they get their documents signed, they notarize them. They don't even have to leave the, uh, airport. Pop back on their plane, and they get out of there. Lena: So I don't know what the market is. I do know the rent is a little expensive, [laughs] but, uh, it seems to work for them. Peter: And the locations right now that you folks have, are they all in Toronto or are they spread out? Lena: They're all in the GTA. Lena: So we're actively looking to spread out. It's just we found that, you know, during our first few years, it makes more sense to focus on the services we're providing, perfect them as much as possible, and then we'll start to geographical expand a bit more. Peter: And so...and I don't know if this is tough to describe, but the locations. What do they look and feel like? Lena: OK. So each one is a little bit different, but the first thing you see are two or three, um, TVs with price menus. And it will just show, "Hey. These are our services. This is what the price is of each one." Once you get beyond that there's a reception desk, and behind that it's fairly open concept. You have I think two or three other workstations where you'd have maybe a law clerk to sign documents, a lawyer to do your will. It's pretty open concept but it's also easy and inviting, very retail friendly. It's just meant to be easy, comfortable, walk in, sit down, let's do what you need to do. Peter: Neat. So as you expand out of the GTA, what does that look like? What are you doing to make that happen? Lena: Oh my goodness. If I could tell you the percentage of my weeks that are spent on this, it takes a ridiculous amount of time as you probably know to build out workflows for everything you do. So a lot of our services are very, very, very workflow based. So let's use an example of real estate, which is probably our most complex workflow in terms of the services that we provide. We spend a lot of times just building out the architecture of what is every single step in the process, who should be doing it, how can we automate as much of it as possible. So we don't necessarily want to automate the client interaction and the real value add that the lawyer is bringing. But any of the lower level things that really are not that special and unique that we're doing, why are we spending time doing that if we can build this into a workflow which will minimize errors and just make it more efficient, we're going to do it. So, what are we doing? Well, a lot of it is actually me with Microsoft Visio, [laughs] trying out workflows, bringing it over to our developer and having it build into our platform, testing it, binding the several dozen errors that I've made, [laughs] , then going back, redrawing it, and making the changes. And we try to do that just service by service. Natalie: You guys are including document generation and things like that in there? Lena: Yeah. So document generation, client communication, communicating with banks, with other solicitors, with real estate brokers, mortgage brokers for real estate transactions, even sending up follow‑up surveys to clients. Peter: Very neat. When you and Mark were initially talking about all this and seeing how all this is going, you would think, "This should have been obvious to a lot of people that this opportunity was there." Is this a concept that is unique, or is this happening in other countries, or is this a whole new thing that Axess is doing? Lena: It's a good question. There are similar types of things that are happening in other countries, nothing identical, and to say that, I mean, it wasn't exactly this fantastic idea. It just made sense. If you look at, you know, a place like the UK, they have the cooperative legal services and Tesco Law and that type of thing. It's a little different. They focus on different areas of law. I think it's less walk‑in friendly. Our retail locations I think would be what differentiates us. Since we opened, there is one or two companies in the States, in Missouri, that are trying to do something similar. Their menus look quite familiar. Lena: Their prices and their services, and all the best to them. Um, but, you know, it, it's neat. There was nothing exactly like this. I think lawyers have been able to get by and do good work and make a living for a long time, so we haven't had to do this, whereas maybe some other professions have just been a little bit quicker to innovate. And one of the sad things about that is we really should be looking at the people we're trying to service. That's our mandate as a lawyer, is to say, "Hey, how can we service people?" And seeing that over 70 percent of people in Toronto who want to get a divorce begin the process self‑represented, I mean, that's a crisis. We're having a crisis in the industry, and we do need to find a way to address it. And people are slowly doing things, and I hope that we can be a little part of it. Peter: Now, you talk about it's a different type of environment for lawyers, as well as for the clients that you're serving, and you're trying to cultivate that and promote that, which makes me think it's also gonna be a very different type of lawyer that's gonna be working at Axess, as well. And so, can you tell us a little bit about who are the people that work at Axess, or who are the people you want to work at Axess, and who fit within that philosophy and model? Lena: That's a great question, actually, and one of the reasons that I love this question is because a huge part of what I do is interviewing and coaching related things. It's how do we find the right people to add to the team, and who is the right fit for our team? So what I will tell you just at the outset is a major evolution has taken place since we started Axess to today. So when we started, we had no idea. I think I'd maybe hired a couple of people in my life. I had no idea how to do it. I had no idea who a good fit would be. We thought, "OK, we should hire people who have the top grades in school, and who just want sort of a 40‑hour a week job." We were completely wrong. So, what we're looking for and what we find to be a good fit at Axess, the first thing is it really has very little to do with their technical skills when they come to us. We have an extremely rigorous training program. We're going to train you. We need people who are ambitious, who love what we're doing, who are buying into the philosophy of what we're doing, and who are easy to coach. We want to bring people who are excited about what they're doing. They love what they're doing, and they buy into the idea of, "We can constantly innovate to do something great," so we try to find people who are on the same page, and I've been doing a lot of interviewing this week. So this morning alone, I think I interviewed four people, and my new questions that I've added to our fairly standardized questions specifically have to do with past experiences. So if, for example, they're in law school or have just graduated, I ask them, "How are you liking it? How are you enjoying it?" I try not to use too many positive words, 'cause you don't want to lead them. Lena: "Well, I didn't like my school. It was in a small town. It was boring, and I didn't really like what I studied because, you know, the class sizes were too big, and I didn't like my old job because there was too much red tape." If you have three negative answers, you're probably a lovely person, but you're not gonna fit well with us. Lena: If you have two negative answers, you're probably also not gonna get a second interview. If you have one, great. You know, you probably had a bad experience. You're just being honest. No problem. Lena: ...but you're gonna make the best of it, so we want people who really love to learn and buy into the idea, and are coachable. Peter: One thing that you just said I wasn't expecting you to say was you mentioned ambition. Tell me how that fits in the Axess model. Lena: So that's an interesting question, because at the beginning, we thought, "Well, if these lawyers are just going to be sitting in the office all day doing transactions, it probably won't be a good fit for someone who's extremely ambitious." We've had a complete 180 in terms of that. Our best lawyers are our most ambitious ones, and we found that they're a great fit. So, part of the fit I think is because we are a relatively young company and we're able to be very flexible, so if you come to me with a great idea and you say, "Hey, I think Axess should look at doing A, B, C," wonderful. You get to lead that up, so they're given a lot of opportunities. Financially, also, they're taken care of, so if you're extremely ambitious, you're gonna find a way to get more referrals to increase your billings. We have profit sharing set up with all of our lawyers. I mean, they're paid a salary, but I don't wanna just give someone a raise because they've been here for five years. I would much rather have someone earn more money based on merit. So if you do well, you can do extremely well here. It works very well for people with an entrepreneurial spirit. You're not just sitting there like a cog in the wheel. You're very actively involved in building a, your practice within a framework of Axess. Natalie: There's no, nothing in terms of like equity and ownership and things like that, right? Natalie: We always hear lawyers who are saying, you know, "I wanna be a partner," or, "I wanna have some kind of control and ownership," and things like that. Has that come up in your discussions? Lena: It is. We have a lot of people ask us about that. We've had it s‑, since we've started, and I would say that our answer to date has been that we are still in a, a phase of building the business where we need to maintain centralized control just because a lot of very important decisions are still being made, from what services are we going to offer to how are we going to do it. I don't know that we would be inclined necessarily to give up equity, but Mark and I have given a great deal of thought to what other structures we can create that would allow young, ambitious, aspiring lawyers to have an ownership stake in something. And I think we've come up with some very unique ideas that will work well, and when the time comes, hopefully very soon, we might be able to offer those, as well. Peter: Is the days of giving up equity over? Lena: ...where you're an equity partner? Well, you're asking me a very controversial question right now. Lena: I would say I wouldn't be jumping at it myself. If I were to be buying into a business, I would want to make darn sure that it was being run the way I want it to be run, and a lot of firms are being run very well, but also that the future potential of the firm is there. So I think that you're going to see a lot more scrutiny of that, whereas in the past, it was, "Wow, great. This is what I'm being offered. Um, of course, I'm going to jump at this opportunity." Lena: What are your thoughts on that? Peter: ...to make sure that people are compensated based on merit, and we're able to provide an environment in which they continue to grow in, and want to be very much a part of. But to this point again, our growth stage is quite early too, so things might change. But at this point, I think that our centralized control is one of the things I think, that has allowed us to achieve any modest success that we've achieved to this point. And I think that decentralizing that in any way would've impeded our growth or the direction in which we're growing. Lena: I agree. It's tough, because it really is so related to the stage of your business. Lena: And on the flip side, if you want to attract the right talent. 'Cause at a certain point, you're gonna get to the point where you just can't quarterback everything. So, you need to be able to attract good talent that has the same vision as your company does. So, one thing we have always tried to keep in mind and struggled with how do we do this, is always, how do we empower employees? We're living in the age of startups. We're living in the age of every kid coming out of school wants to be an entrepreneur. So, what do we do with these entrepreneurial, ambitious people? How do we empower them, harness that power but also allow them to be independent in what they're doing, while maintaining control? And I do think that there's a way. I just think that it has to be structured properly, and it's not a simple answer. Peter: We'll compare notes after the podcast. Peter: Yeah, it's, and it's, you're right. It is a really, really tough thing to figure out. And I think that if law firms can figure this out, there's a huge upside in getting, you know, your team behind you and as you say, empowered or passionate about the organization itself. So, I think that the return on investment for the business and for the employee itself is, is huge. Natalie: There's a bit of a change in mindset for the actual lawyer as well, right? You know, when you were talking about students they've probably gone out on their own after graduating, because they're thinking, "I need to control everything, and, you know, I want to be in charge." Lena: ...deal with that kind of expectation to attract the right talent. Natalie: We hope you are enjoying the podcast. We want to take one minute to tell you about a new segment that we're adding to the end of each episode. It's called, "I am building NewLaw," and it gives you the opportunity to share what and how you are changing the practice of law. Peter: So, if you're building a new law firm, legal tech company or product, we want you to record a message and tell us all about it. Natalie: Just go to countertax.ca/imbnl. Click on the voicemail button and tell us what you're building, and why. Peter: And now, back to the show. Natalie: I had a note here that you guys were serving 40,000 clients a year. Is that right? Lena: It, it, we, we are serving a lot. I don't have the numbers from the past year. We're actually in the middle of compiling them. But it definitely is somewhere in that realm. Natalie: Like that's mammoth to me. I can't imagine 40,000 clients. Lena: ...that it was quite that high, but it's quite a few. It's quite a few. Lena: ...and that sort of thing. So, we'd have to look over the numbers. But certainly, the number of transactions is quite high. And that just goes to underline the fact that there are lot of repeatable things that lawyers do. And I think one of the hesitations that a lot of the legal community has with speaking about law as a business, or law as a system of workflows which there's a lot of sort of pushback on that, is that a lot of people are really programmed to think that everything we do is so special. Let's be frank about it. Some of the things we do are very special, and they require great training, and we're excellent at it. But the key is that we should be spending as much time as possible in my mind, doing those things that are unique and special. And minimizing the amount of time where we're doing things that aren't unique and special, and are more repeatable and redundant, and things that we can actually either give to other people or have done automatically. Peter: So, looking at where Axess is now and where you've come from in the last four years, what are you most proud of? Lena: The endurance it's taken. Natalie: I could, I could ask you the same question. Lena: The ability to deal with multiple failures. Lena: No, it's, uh...I, I would actually say one of the things is, is a bit of a weird answer, but you might relate. Anyone who sort of has gone on their own may be able to relate ‑‑ the ability to continue to want to try new things, even when you try it and it doesn't work out. And then you know, you think, "OK, well, why didn't it work out? Let's shift the idea a little bit and let's try it again." So, the stick to it‑ness that we've had to try and it works, 'cause you do progress. You know, it's three steps forward, two steps back. Three steps forward, two steps back. But I think that I've been pretty proud of the whole company for doing that, and that is the whole team because everybody's doing it at least as much as me, and Mark. The other thing I, I would say that I am happy and I'm proud that we've been able to identify a real need for Canadians. And again, I mean, this is, I think the reason why most people become lawyers to begin with is because you actually want to find a way to provide these legal services to people. We really have a problem here. I know people talk about it all the time, but let's actually think about this. When we have the Canadians who can't afford a lawyer, we're in Canada. Come on, this is a wealthy country. What in the world is wrong with this picture? So, I'm quite proud of the fact that in a very small way, we've been able to sort of just chip away at that number. Peter: And in terms of your partnership, tell me why you think you and Mark as a partnership, have been successful to this point? What is it about that partnership that you think has made it work, or what other people should look for when they're evaluating potential partnership opportunities? Lena: A great question. So, two main things. I would say the first thing and arguably the most important thing is that I do believe that we share a very strong set of values. Why that's so important is that the ambition to get up every morning and work hard at what you're doing is because you are focused on attaining a goal. So, we have found it very easy to have our goals aligned. We picture where we're going very similarly, and that's not always the case at the beginning of our conversation. Sometimes he sees it one way, I see it another way. We chat for 20 minutes. But typically by the end of those conversations, especially if you're open to hearing the other person's viewpoint, our vision is really in line with one another. So, I think that that is a huge advantage. I do not know how you can work with someone if that's not the case. Lena: ...probably terrible at. And, uh, maybe vice‑versa, I probably like doing things where I can shut my office and play around with an Excel spreadsheet, and he's better at talking to people. Lena: In fact, he usually does these type of interviews, so. Peter: We're really, we're really hoping to have him. Lena: You're, you're stuck with the girl who likes to play with Excel sheets, I'm sorry. Lena: It makes me happy. Peter: So, when you, but when you say that about, you know, the shared vision and those values, did you know that when this relationship started? Or is this something that while you've worked together, these things have kind of continued to come together? Lena: I think that we realized it at an early stage without actually realizing it. So, I think that one of the reasons that we actually contemplated doing this, and it was so easy to say, "Hey, yeah, a great idea. Let's go and do this together," without actually thinking about it, just because well, we had worked together previously. And we'd been in school together before. I think we were so busy that we didn't actually sit down and, you know, write out a list of pros and cons. Hey, do I think this would work? Lena: We just intuitively felt, "OK, this would work," and did it without thinking about it. But in retrospect, if I have to sort of untangle why it was done, I would say that without thinking about it we probably did realize that. Peter: So, what's your biggest hurdle going to be in the next five years? Lena: To continuously refine not only our processes, but our delivery of services, to the point where it can be delivered in a perfectly repeatable way. So, for example, if you go to a Starbucks in Dubai, or a Starbucks in Tokyo, or a Starbucks in Toronto, you know that you are going to walk in and you're gonna get a certain quality of coffee. You know what to expect every time. What we want to create is an experience for a client where no matter where they walk in, they can expect to receive the same quality of service ‑‑ that being a very high quality again, and again, and again. So, that is gonna be a challenge, because a huge part of that is training. When we were younger and we had a smaller company, I knew everyone well. I was with them every day. I was out at site, I know them. We were having lunch together, so you develop a personal relationship. They're loyal to you because they like you, because they know you. I'm not able to have that personal relationship with a lot of people at work now. So, being able to motivate and train and just get the right team together, I think is going to be the biggest hurdle in terms of growing. Our growth plans are fairly ambitious, but in order to do that it's the team that has to do it. It's not Mark, it's not I, it's the team. So, figuring out how to sort of crack that nut, not just choosing the right people, but onboarding them, training them, motivating them to work together and to delegate your work so that they're promoting you from within at the same time, that is going to be a struggle. Everything else we can figure out. I mean, I can figure out how to do math. I can figure out financing if I need to. I can figure out how to open an office, how to do it well. But figuring out people, that is the tough part. Peter: Yeah. So, what resources are you doing or leveraging to try to, I guess, jump that hurdle? Lena: Tons. So, the, the short answer to that is everything, everything I can get my hands on. So, I will read every single book that's recommended by someone that I trust. For example, I think you guys sent us a great book called, "Who?" Peter: Yeah, "Who: The A Method for Hiring." Lena: Exactly, awesome. So, I've given that to already three people, three of our managers. Lena: And they all love it. So, I read blogs. I listen to podcasts. I watch TED Talks, I talk to people. I read Harvard business cases. Anything I can do, and then I try it. And then Mark and I meet every week and then we go over it, and we say, "OK, what's working, what's not working?" I think a big part of what I have found helpful is looking to other industries for inspiration, and then trying to figure out how they're doing it. So, for example, yesterday I was in Freshii and I was on the phone with my brother. My brother is out in St. John's in Newfoundland, and he was in a Freshii at the same time. Lena: At exactly the same time, I know, unbelievable. But we were sitting there and, and I, I have a huge respect for this company. I think that they've done very well. I think that the customer experience is great. So, I was talking to my brother and I said, "Every time I come into a Freshii, I always get greeted by an excellent person at the cash. They're nice, they're friendly, they tell me about the menu. They ask me how my day is." And my brother is ordering at the same time, so I tell him this. And he said, "Lena, that's so funny that you said that. I have the same experience here, too." I thought, "How the heck are these people growing like crazy and training their staff like this?" So, this morning I woke up and I put on my to‑do list, "Figure out how Freshii trains." Lena: And when I figure out how to figure that out, I'll let you know. Peter: Yeah, please do. How do you hope Axess will change the legal landscape? Lena: I hope that it does a couple of things. I hope that it does fulfill our mandate as lawyers, as a legal profession, of actually being able to provide the services that people need at prices that they can afford, for all legal services. I also hope that we are able to develop a company that offers new lawyers or lawyers who have been practicing for a while, an opportunity to have a very fulfilling occupation. We want people to be excited about what they're doing. We want them to love it. We want lawyers to really love coming into work again. You're not gonna have a good team if you have people who are indifferent about what they're doing. And I hope we can do this large scale. I'd like to continue growing the way that we are. That would make me very happy as well. Peter: Do you think it's possible that if Axess continues to grow and gain greater market share, do you think that there's any prospect that Axess will change how lawyers outside of Axess work and deliver legal services? Lena: I would hope so. So if all goes well and we're able to continue to grow and open up in other geographic areas, I hope that it will. And not necessarily in a bad way. I think competition really breeds achievement. And it makes people work harder. So do I think so? I hope so. I hope that we will continue to do well and be able to expand. And it will force us all to bring things to another level and to just think outside the box. Natalie: Yeah. There's just this, you know, looking down your nose at you guys. Natalie: And it infuriates me beyond belief. How are you guys dealing with that? Lena: We don't, we don't really care. Just understanding where that's coming from, it's fear. That's what it is. It's fear. Lena: Because if you're very comfortable in your job, and if you're doing well. If you think that you're doing things as well as you can, you're not scared of someone who's doing it better. I'm not trying to take anyone's clients away. These are people who would otherwise not be getting legal services at all. Lena: So why do you care? It's fear that's building. And that kind of makes me snicker a little bit. Peter: But there are going to be clients who need a will done, and they're referred to, you know, a solo or something like that. And so they hear about the solo. And they're walking around Walmart. And they find you guys. And there's gonna be a decision or a value proposition that that client is gonna see in either the solo or in you folks. And so, what do you think Axess' advantage is over that solo? Lena: So what I would say is we don't always have an advantage. So, I mean, we are in locations other than Walmart. We're going to continue to grow those locations. But I would say with regards to our Walmart locations, they may not be for everyone. Peter: Sorry, 'cause why? 'Cause it's Walmart? Lena: Some people, certainly. Yeah. Lena: I think so. But those also aren't the people who are seeing us. Lena: Right? And we don't ever expect to be everything to everyone. The same way not everyone is going to eat at Freshii. It's gonna be something good for a lot of people. So I think what we can offer them that may be more challenging to offer at some solos is just the fact that because we have worked on our workflows so extensively, because we just focus on rigorously training people again, and again, and again, I think that we're going to be able to do it, certainly at times that work for them. On weekends and evenings. Consistently with very high quality. Because of the way that we are trying to build our workflows, it minimizes the type of errors you can have. There are 30 checks before you can finish a will. So I think that we will be able to offer things in a very...certainly, I won't say in a higher quality, because that presupposes that I know the quality of all the solos. And I think there's a lot of solos who offer very high‑quality, great work. But perhaps, at a little bit more, a, a lower price, because we're doing a lot of them often. Peter: Do you think Axess Law is gonna wipe out solo practitioners? Peter: OK. Put it this way. Do you, do you think Axess Law is significantly gonna change the landscape for solo practitioners? Like those residential real estate practitioners right now, how are they going to compete with what Lena and Mark are putting together? Natalie: I don't think they need to. And I guess maybe I'm naive in that. And what Lena sort of was driving at was there's so many under‑served people that there's enough to go around. And all that Axess is doing is taking the really boring kind of routine bits, right? If you're a solo, yes, you might see a decrease in the number of wills you are producing. That's possible. I could understand that. But you're gonna see the more valuable work still come through to that solo, because Axess isn't trying to do that. Peter: Right. But there are a lot of sole practitioners or small law firms that focus on commoditized work. Peter: It is true. Well, I know them. I know five. I can just think of five just off the top of my head right now. Natalie: Sorry. Are you saying they're going to impact the solos because these guys have such a better workflow, and they're more systematized, and they'll do it better and cheaper? Or are you saying because of where they're opening in the retail side of it? Peter: Both. I look at this and I say, "If you are a solo doing residential real estate transactions right now, and that's the bulk, if not all of your business, when Axess gets up and running, how could you compete with this?" Peter: You know, you say like there's enough work for everybody. Natalie: I said that the people were under‑served. Yes. Peter: ...or are not hiring real estate lawyers? Natalie: I'm talking more about like wills and things like that, right? What Axess first started focusing on, I think was the, you know, the wills and authorization, and all of those kind of simple transactions that they're in the back of people's minds. And they just don't necessarily go and complete them, because it's just not accessible and it's not easy. So that aspect, I see them thriving, excelling. And they might be competitors in terms of like retail notary or something. But I don't see them threatening solos in that respect. Peter: I do. I do. Natalie: The residential real estate, absolutely. I see there are some things there. And I don't know how people normally choose a residential real estate lawyer. I assume they go by whoever's closest to who their real estate, sales person rep.
Peter: Or who's cheapest. Everybody who's ever called me about residential real estate lawyer, like people don't perceive any value in that work. I don't believe that there's infinite market share for all these legal services. And so I do think that if Axess is successful, they will put a dent and take on more market share than simply the people that won't otherwise get a will. But as I say that, I think to myself, I wonder if Axess leads to the Starbucks effect, which is the idea that you put a Starbucks on a corner, and that means the independent coffee shop across the street gets an increase in business on the basis that more people are now drinking coffee. Peter: Because there's a Starbucks in the neighborhood. That might be interesting. Peter: I guess. [laughs] Yeah, well, I'm not...I don't know if I buy it, but it is a possibility. Natalie: I think any impact they have, I'm gonna be a fan. Just because I love the way they're structuring their business and all of the focus. Peter: Any impact they have, are you gonna be a fan? Peter: "No matter what they do, I'm gonna like it." Natalie: Yeah. I, I think that what they're trying to do and what they're building is, is something we need more of. And when you're asking Lena like, do you hope that this changes the practice of law and things like that in the future? I can only hope that people look at how efficient this model's gonna be and say, "I better step up my game. And I better do workflows. Or I better do some kind of automation and get onboard with this." Peter: I do not believe that it's the workflows and automation that's gonna win the day. I think the reason why they're gonna be successful is because they're both so humble. And they have absolutely no ego. And any time you speak to either one of them, they're so open to new ideas and doing things better. I don't see many people with that type of openness, humility, or actually focusing on getting better without any ego involved. And the fact that they have a great business idea, coupled with that attitude, I think is why these are two people in a business that's going to thrive. Peter: Yeah. Why isn't there anybody else doing this? Natalie: People are too lazy right now. Peter: What do you mean? It takes any more effort than building any other law firm? Natalie: Because they're not just simply throwing up a shingle and, and just saying, "I'll come and do whatever you need," sort of thing. It's looking at processes to figure out how you can do it in the best possible way. I don't think there are barriers to another solo setting up in the same way. I just think that the way that this is being structured and the way it's being done has had a lot of planning. Peter: Why do you think they're gonna succeed? Natalie: I think that they'll succeed, because it's Lena and Mark. Peter: What about them is gonna make them successful? Natalie: Whenever we've had a conversation with either of them, I come away inspired and ready to take action. And if they can inspire people in their team and build their team that they're trying to create, I think that's the perfect recipe for success. Peter: Yeah. You think first‑to‑market means anything? Natalie: Yes and no. I think it's an advantage, but I think lawyers are so stuck in where they are, that I'm not sure that anyone's gonna even try at the moment. Peter: In five years, are they still running Axess Law? Natalie: Them personally, or does Axess Law still exist? Natalie: Probably, yes. I can see that. You think they'll have built what they wanted and got out by then? Peter: I'm not gonna be surprised if Axess Law gets sold. I think they'll still have involvement in it. Natalie: I don't think anyone's gonna buy it until we have alternative business structures and then Walmart will buy it. Do you think they made a mistake in going for Walmart? Peter: Yeah. They would have been the Loblaws lawyers. Peter: Yeah, I don't see it. The thumbing down your nose thing, I don't see it. And I think, great, keep doing it. Global did like a two‑minute feature on Axess Law that we'll put in the show notes. That kind of introduces Axess Law. And they cut onto a practicing Ontario lawyer. And he says, "It might give a whole new meaning to clean up in aisle four." Peter: And his argument was maybe Axess doesn't give this efficient time or more sophistication that somebody like him would. And I think, great, if that's...without any experience and without any interaction with Axess Law, if that's how other lawyers want to dismiss them to justify their own importance, good luck to you. But I would bet that Axess Law survives and satisfies more clients than those lawyers do. Natalie: 100 percent. Not only satisfies more clients, but makes more people's live better. You know, everyone's gonna be happier based on the model that Axess is trying to provide. Peter: Yeah. I would use them. Natalie: I wanna find more people like them. That's all. Peter: Well, that's what we're here to do. 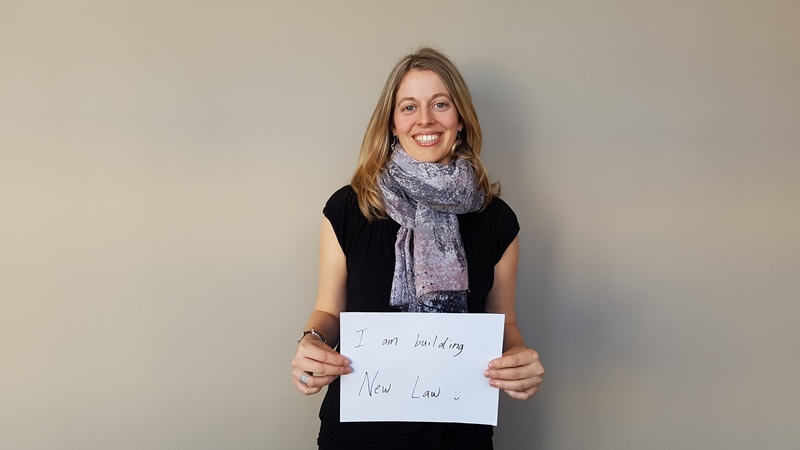 Natalie: For this episode's show note and transcript and how to satisfy your law society's CPD requirements, please visit our website at buildingnewlaw.ca. We'd love to hear from you. And if you have any feedback, feel free to send an email to info@buildingnewlaw.ca or come and find us on Twitter @buildingnewlaw. Sponsor: Thanks for listening to the Building NewLaw podcast, brought to you by Counter Tax Lawyers. To learn more about Counter, go to countertax.ca. Lawyers that have completed the S02E11 BNL CPD cam claim a 45 minute Professionalism CPD credit. To access the S02E11 verification examination click this link.